As Sifu Lee Wei Joo thrusts a right punch, Grandmaster Wong responds with a Butterfly Palm strike. Luk Ah Choy thought to himself that if he returned to the Shaolin Monastery now and told the Venerable Chee Seen that he could not find Lai Fu, Chee Seen would be suspicious. So he decided to stay outside for some time before returning. When he left the monastery, he brought along 5 taels of silver. After about half a month searching for Lai Fu, he found that he had about 1 or 2 taels left. Thinking for some time, he came out with a plan. He had learned some thiet-da, i.e. kungfu medicine for injuries due to falling or being hit. So he decided to sell some thiet-da medicine, like medicated pills and medicated plasters, to support his livelihood while staying outside the monastery. He went to a medical shop to buy some medicine, and prepared some medicated pills and medicated plasters. He also bought a gong. Then we went to town to sell his medicine. Luk Ah Choy had not been in streams and lakes before (i.e. in society), so he did not know society rules. Whenever an artist came to a new area, he had to pay respect to a big brother (or leader of the gang controlling the area), otherwise the artist could never be able to stand on his feet (i.e. to survive in his trade as he would be beaten by the gang). While Luk Ah Choy was demonstrating his kungfu before selling his medicine, a group of gangsters came forward to destroy his sales apparatus. But before he completed the sentence, he and his gang started damaging the sales apparatus. Luk Ah Choy went forward, gripped the gang leader’s band and bent it backward, causing him much pain. “Let go of my hand, let go of my hand,” he screamed. Luk Ah Choy gave him a gentle push and he fell many feet away, groaning on the floor. The other gang members were stunned, and dared not move. Just then, the crowd separated into two sides, and a tough man came forward. He was huge and dark, and his hands were big and rough. “I’m Iron Hand Four,” he howled. As he spoke, he rushed forward with his right hand coming at Luk Ah Choy’s head. Luk Ah Choy retreated a small step to avoid his chop. “This is the first time I let you attack,” Luk Ah Choy said. Iron Hand Four was enraged. He turned around and executed a right punch again. 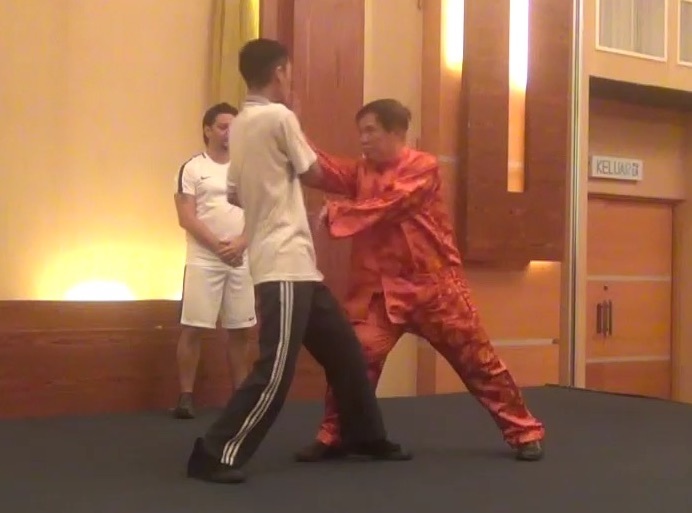 As the punch was approaching, Luk Ah Choy moved forward with a butterfly palm strike, his arm brushing away the coming punch and hitting the opponent on the chest. This was a high-level move, using the tactic of no-defence-direct-counter, and employing the principle of “when there is a bridge, go along the bridge”. Iron Hand Four was thrown many feet backward, landing on the ground. In a second or two, he vomited blood. Luk Ah Choy threw a few medicated pills at him, saying “Take a pill with warm rice wine everyday for the first three days, then take a pill after three days.” His gang members picked up the medicated pills on the ground, and carried him away. A lot of people rushed forward to buy the medicated pills. Luk Ah Choy sold all his medicated pills that night and made a lot of profit. 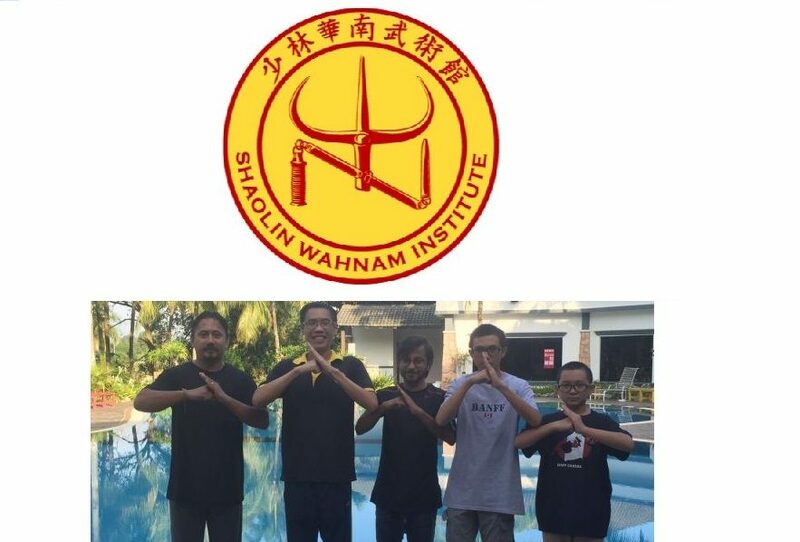 This entry was posted in Grandmaster Wong Kiew Kit, Kung Fu, kung fu culture, kung fu sparring, legends, Shaolin, Shaolin Wahnam, stories and tagged Grandmaster Wong Kiew Kit, Kung Fu, kung fu culture, kung fu sparring, legends, Shaolin, Shaolin Wahnam, Stories on August 28, 2018 by Wei Joo Lee. The monk, Cheong Mong, laughed aloud. “If you have such an ambition, how can I not teach you? “Secret weapons are meant to supplement the inadequacy of ones kungfu. When one is engaged in combat with an opponent, it is not always that he will win. Thus, there is no harm to learn another skill to protect himself, just like natural breathing. Cheng Mong gently slapped on Luk Ah Choy’s shoulders. “You need not hurry. Listen to what I’ll tell you. “There are many types of secret weapons. It is difficult to describe them one by one. But those frequently used are flying darts, little arrows in sleeves, flying stones, flying knives, iron grasshoppers, comet round hammers, and iron drakes and ducks. “Flying darts are the most common. In martial circles, there is hardly anyone who does not know flying darts. The difference is whether his art is deep or shallow. Cheong Mong continued to say, “Little arrows in sleeves are often used by people who travel at night. They are more deadly than flying darts because they are shot out by a machine. Their force is tremendous, and their use convenient. “The shooting machine is a cylinder made from iron, with a diameter of less than an inch. In front there is a small opening, used for storing arrows. At the tip is installed something resembling the wings of a butterfly. A spring, the length similar to that of the cylinder, is placed inside the tube. The cylinder with arrows inside is hidden in sleeves. By moving his arm in a certain way, an arrow can be shot out. “Flying stones are the cheapest. There is no need to spend money buying them. There is also no need for extra work. Ideally, the stones are pointed in front and bigger at the back. The length is about three inches and each weighs about four to six liangs (or taels, and each tael was about 40 grams). Its use is similar to that of flying darts. The targets are an opponent’s mid-point between the eye brows, the temples and the eyes. 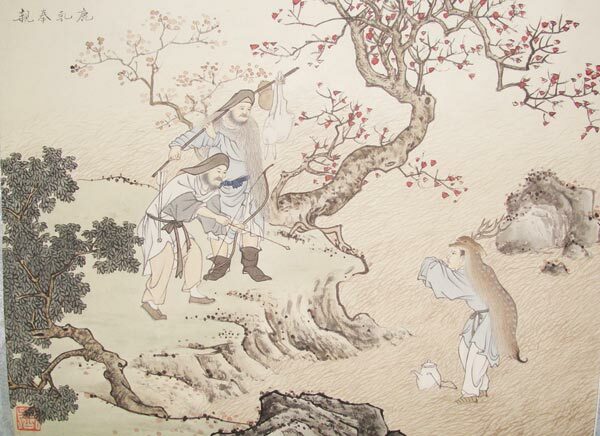 The more Cheong Mong spoke, the more involved he became. He then explained the special points and uses of iron grasshoppers and comet round hammers. Cheong Mong continued, “When using the iron drakes and ducks, it is usual to use the yin-hand, so that an opponent may not notice it. When used against a formidable opponent, although the iron drakes and ducks would not take his life, they would prevent him from pressing in further. “I’ve explained a lot about secret weapons. When one is in martial circles, it is not necessary to train all of them. Otherwise, it is not only inconvenient to carry so many different types of secret weapons, he may not have the time and energy to train them. 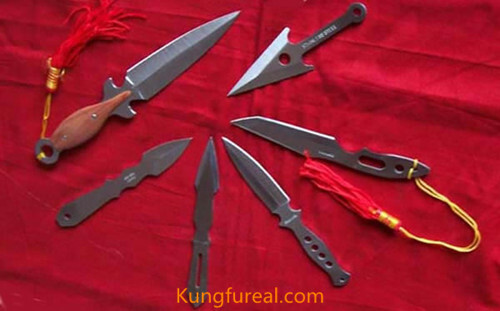 “Thus, kungfu disciples must know about secret weapons, but they should not spend too much time on them. If a person chooses one or two secret weapons that are concurrent with his character, it is enough to be used for life. “Now in the martial circles, the most frequently used secret weapons are flying darts, flying stones and little arrows in sleeves. Flying knives and comet round hammers may be met sometimes. Iron grasshoppers are like unicorn’s horn and phoenix’ feather (i.e. very rare). Hence amongst those who wander about in lakes and streams (i.e. martial artists), if they can train in more than three types of secret weapons, and are capable of hundred hits without a single miss, they are regarded as experts. Cheong Mong answered, “There are many doors (i.e. many methods). It is not telling just one or two (i.e. briefly) and explain clearly. But there is actually no secret. The focus is on smart practice, so that force can be developed at the elbow and wrist. Accumulated over a long time, practice generates the marvelous, and the marvelous generates spirit. Left and right meet the source (everything will work well as planned), there will be nothing that the techniques do not arrive according to intention. I have practiced this way for more than twenty years. Luk Ah Choy could not have thought Cheong Mong was such comfortable and fast (i.e. quick and ready). He was happy beyond expectation. Quickly he knelt down to thank Cheong Mong. Henceforth, everyday he followed Cheong Mong and learned iron drakes and ducks. Because he had practiced kungfu for ten and more years, his nature of comprehension was very high, and after a few months his kungfu had gone beyond people’s intention and progress. This entry was posted in Grandmaster Wong Kiew Kit, Kung Fu, kung fu culture, kung fu sparring, Kung Fu Weapons, legends, Shaolin, Shaolin Wahnam, stories and tagged Grandmaster Wong Kiew Kit, Kung Fu, kung fu culture, kung fu sparring, kung fu weapons, legends, Shaolin, Shaolin Wahnam, Stories on August 14, 2018 by Wei Joo Lee.